Yeah, I’m sure you might look at me and say that I have a long way to go to reach my ideals. I may not always match up to everyone else’s standards of what they wish I was. And I know for a fact that my everyday life has not quite attained the perfect status which God has already attributed to me through Jesus Christ. 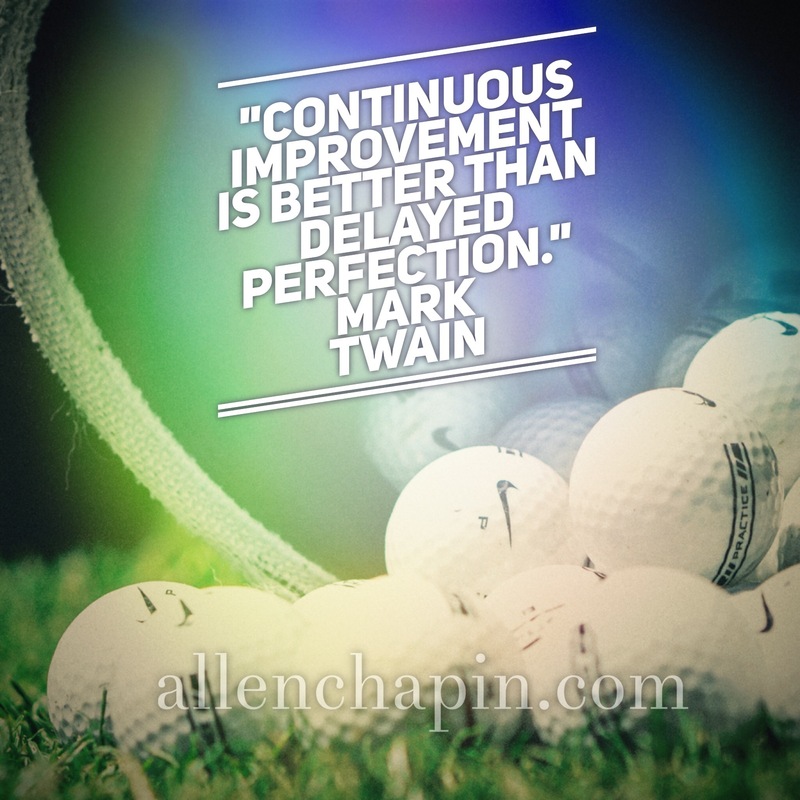 But you can count on this… I’m still working at getting better. I’ve got room to grow in every area of my life, and sometimes I may only be taking baby steps. But they’re baby steps in the right direction. So what if you’re not perfect yet either? Are you headed in the right direction? I’d rather see you do like Apple when they come out with a product that is headed in the right direction but still has some tweaking to be done on it. Keep upgrading your life. Keep loving people… and working hard… and making the most of times with friends and family. If every day we will make a little improvement, at the end of our lives we will be able to look back and see how far we’ve really come.